Samsung today has launched the first ever smartphone with a quad rear camera setup. Samsung Galaxy A9 (2018) also comes with an Infinity display and packs 6GB of RAM. Samsung is also touting the presence of a 3D Glass curved back. As the name suggests, the smartphone is the successor of Samsung Galaxy A9 — which was launched three years back in 2015. Read the rest of our story to know about the price, availability and specification details of the smartphone. Samsung Galaxy A9 (2018) comes in two variants — one with 6GB RAM and the other with 8GB RAM. The price of the smartphone starts at EUR 599 and GBP 549 and it will be made available starting November. 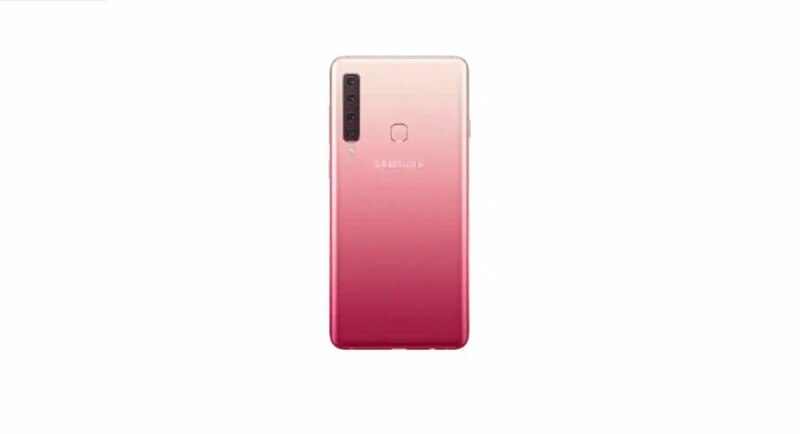 Samsung Galaxy A9 (2018) comes in three colour options — Bubblegum Pink, Lemonade Blue, and Caviar Black. Samsung Galaxy A9 (2018) is a dual SIM smartphone that sports a 6.3-inch full-HD+ Super AMOLED Infinity display that has an aspect ratio of 18.5:9. Powered by Qualcomm Snapdragon 660 processor, as we mentioned earlier, the smartphone comes with either 6GB or 8GB of RAM. Both the variants pack a 128GB internal storage and can hold a microSD card of up to 512GB. The newly launched Android Oreo based smartphone by Samsung houses a 3,800mAh battery and supports fast charging. Now, let’s talk about the main highlight of the device — its cameras. For imaging duties, Samsung Galaxy A9 (2018) sports a quadruple rear camera setup. It has a 24MP sensor that comes with an f/1.7 aperture, a 10MP telephoto sensor that features 2x optical zoom and has an f/2.4 aperture. There is also an 8MP ultra-wide camera that comes with a 120-degree lens and an f/2.4 aperture and a 5MP depth camera that features an f/2.2 aperture. According to the company, when used in dimly lit conditions, the primary 24MP camera uses pixel binning and combines 4 pixels into one. For selfies and video calls, there is a 24MP front facing snapper that comes with an f/2.0 aperture. The smartphone supports Samsung’s digital assistant Bixby and Samsung Pay. It also comes with Face Unlock technology. The connectivity options of Samsung Galaxy A9 (2018) include 4G VoLTE, Wi-Fi, Bluetooth v5, NFC, a 3.5mm jack, and a USB Type-C port.